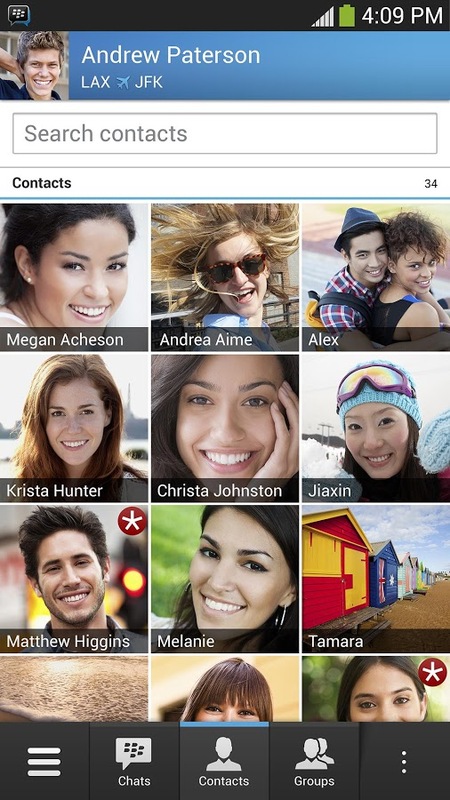 The OFFICIAL version of BBM™ from BlackBerry is now here for Android. Get the free BBM app for the best way to stay connected with friends and family. • Groups – BBM groups help you share pictures, lists, and appointments with group members. You can even be in a group with people who aren't part of your own BBM contact list. • Multi-person chats – Invite multiple contacts to have a chat together. • Broadcast messages – Send a message to multiple BBM contacts at one time. • Post a profile picture using images, pictures or even animated pictures (GIFs). 5,791 5,544 BlackBerry Limited Oct 22, 2013 - 20:59 1.0.0.70 Unknown BBM , out of 17 Votes.